We beg you - COME TO SOUTHEASTERN MASSACHUSETTS! We've been spoiled by your excellent pies and need a fix, but your locations are too far away. Rescue us from this non-Sal's existence!! 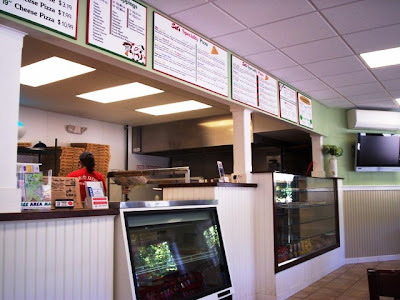 Not wanting to miss out on another food opportunity, Mom and I decided to stop at Sal's Pizza, which is connected to the White Farms Homemade Ice Cream building. 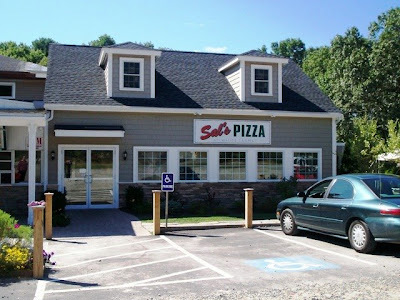 Sal's Pizza is a Massachusetts pizza chain that has expanded their business to New Hampshire, California, and Florida. 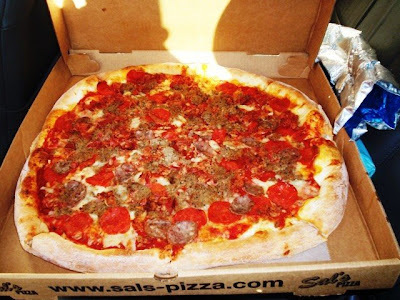 Dubbed "the home of the 19", three pound pizza," we often see commercials for Sal's yummy-looking pies on The Phantom Gourmet. We couldn't leave this famous pizza chain out of our eating extravaganza, so Mom and I planned to get a pizza and take it home - all the way back to Fall River. We entered Sal's at around 1:50 p.m. 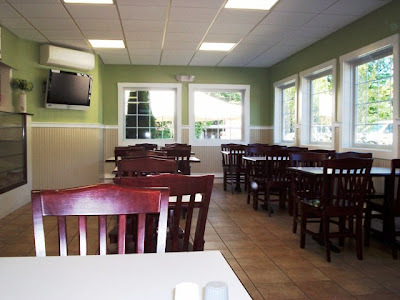 Since this is Sal's newest location, everything looked extra clean and shiny. There was only one girl behind the counter, and she was surrounded by very large pizza boxes. Before waiting on Mom, she showed her what some of the pizzas looked like (the "showcase pizzas" were in a heated display case for people who wanted to order a single slice). While I used the ladies' room, Mom ordered a large Meat Lovers pizza ($19.75), which comes topped with pepperoni, sausage, bacon, and meatballs. You may say to yourself, "Wow, that's a lot of money for one pizza." You're right, but when you see the size of the pizza, you'll agree that you definitely get your money's worth. Mom and I took a seat in the dining area to wait until our pizza was ready to go. I'm not sure if Sal's uses ready-made crusts, but I could definitely see the "pizza girl" working hard to get all of our toppings onto the pie. As it cooked, the smell was intoxicating. You could tell that Mom and I were full from a day of eating or else we would have been storming the counter and trying to grab a slice of pizza out of the girl's hands. After the pie was cooked and ready to go, we took it to the car and surrounded it with large ice sheets. While driving home, Mom and I were drowning in the fantastic smell of the freshly cooked pizza. We were just hoping that it tasted as good as it smelled, especially since it was going to have to be reheated once we got it home. After we returned home and placed the pizza in the refrigerator for a while, it was time for dinner. Mom and I were too full to eat, but Dad was ready for some Sal's Pizza. Mom took the pizza out of the refrigerator and put it in the oven. After it was ready, she took it out and let Dad go crazy. By that time, Mom was ready to try a small slice, but these slices were anything but small. Both Mom and Dad thought that the pizza was outrageously tasty. The flavor of the pizza matched the overpowering aroma that Mom and I had been smelling in the car. The combination of the different meats, cheeses, sauce, and the tasty crust worked together to make one of the tastiest pizzas they've ever had. For once, they both agreed that it was amazing. After I returned home from an appointment, Mom told me that I had to try Sal's immediately. Although I was still a little full from our huge lunch, I caved in and had a slice. One slice quickly turned into two once I tasted this delicious pie. I completely agree with my parents - it was the best pizza I've ever had. Sal's Pizzas range from $9.99-19.75 and include speciality pies such as the veggie, Italian veggie, spinach/tomato/feta, chicken club, chicken cordon bleu, buffalo chicken, Mediterranean, steak bomb, Hawaiian, and many others. They also offer "Salzones" ($6.99) that weigh a whopping one pound each! Sal's also makes homemade breads, desserts, and salads. All of the ingredients are fresh and if they're anything like that Meat Lovers pizza, they will knock your socks off. My family is officially ruined from ordering pizza now. It's not like we can go to Papa Gino's, Domino's, or *gag* Papa John's and have dinner. We'll forever be comparing it to Sal's Pizza, which tasted more amazing reheated than any of the other chains' "fresh" pie. It looks like Sal's will just have to get themselves down to Southeastern Massachusetts ... or Rhode Island ... heck, I'm ready to open up a franchise right now! The Sal's Pizza location we visited is at 326 High St., Ipswich, MA. 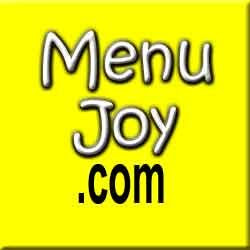 For more information, such as locations and hours, please visit their Web site at www.sals-pizza.com.